Can I Fund a Roth IRA With Money on Which I Have Paid Taxes? 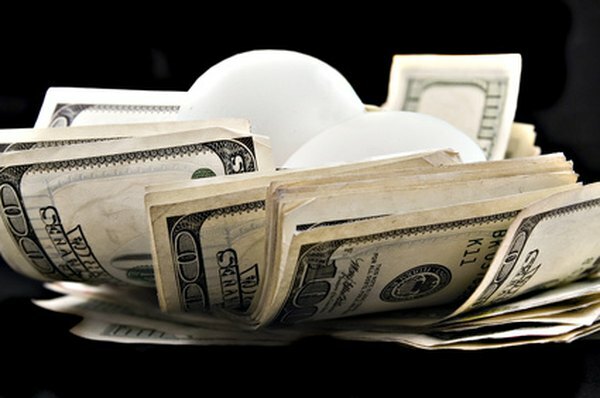 A Roth IRA could provide you with a tax-free nest egg. 1. What Happens When Your Income Exceeds Limits for a Roth IRA? A Roth individual retirement account is similar to a traditional IRA except for the taxation of contributions and withdrawals. All Roth IRAs are funded with after-tax dollars, as opposed to the pre-tax dollars of traditional IRAs. However, this doesn't necessarily mean that you can contribute to one. The Internal Revenue Service has specific rules on Roth contributions that may prevent you from funding a Roth IRA. If your modified adjusted gross income is below certain levels, the IRS will permit your after-tax contribution to a Roth. As of 2012, you cannot contribute to a Roth if you are married filing jointly with a MAGI of $179,000 or more. Limited contributions are permitted between $169,000 and $179,000, with full contributions allowable below $169,000. As a single filer, the phase-out begins with a MAGI of $107,000, with contributions prohibited above $120,000. If you qualify to contribute to a Roth, your contribution is limited to a maximum of $5,000 per year. You can increase this to $6,000 if you are 50 or older. However, the amount of your contribution can't exceed your earned compensation for the year. If you only make $3,000, you can only contribute $3,000 to your Roth. If you and your spouse make at least $10,000 combined, you can contribute a total amount of up to $5,000 to each spouse's Roth -- even if only one of you earned the money. The IRS permits conversions from pre-tax retirement accounts, such as a traditional IRA or 401(k), into a Roth IRA. You'll have to pay tax on the entire amount of the conversion, and your funds will go into the Roth as after-tax money. Before 2010, you could not convert a pre-tax retirement account into a Roth IRA if your MAGI exceeded $100,000. However, as of 2012, there are no income limits on conversions. One of the main benefits of funding a Roth with after-tax money is that your distributions will likely be tax-free. As long as you wait until 59 1/2 and hold the money in the Roth for at least five years after you open it, you can take out all your earnings and contributions tax-free. If you make withdrawals before 59 1/2, you will have to pay income tax and a 10 percent early distribution penalty, but only on the earnings -- not on the contributions. IRS: Publication 590 -- Can You Contribute to a Roth IRA? IRS: Publication 590 -- How Much Can Be Contributed? How Much Can You Put in a Roth IRA? Can Federal Employees Contribute to a Roth IRA? Can Money Be Added to an Existing Roth IRA Account?